Launched in 2008, Artemis is part of Grand Circle's fleet of small ocean vessels. The 193-foot ship has three decks that can accommodate 50 passengers. 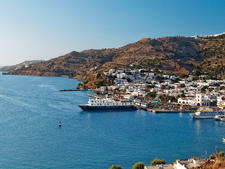 It sails three itineraries: the Greek Islands, including Turkey; the Dalmatian Coast and Greece; and the Adriatic Sea. 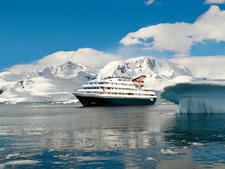 The ship has 26 nonsmoking cabins -- 24 doubles and two singles -- ranging in size from 150 to 170 square feet. All have ocean views and private bathrooms with a hair dryer. The 18 upper deck cabins include a private balcony. Most cabins have movable twin beds that can be converted to a double bed. Each cabin has a radio, phone, in-room safe, individual climate controls, minifridge and flat-screen TV with CNN. A limited number of free single supplements are available. 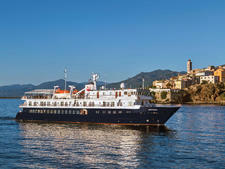 Onboard offerings include a lounge/bar with leather couches and soft chairs, a sun deck with classic wooden deck chairs and a dining room with single open seating. 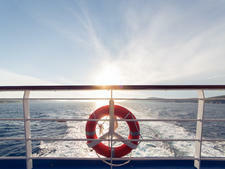 Free Wi-Fi is available throughout the ship, including in cabins. There is no elevator or fitness room. There are two program directors, one for each group of 25 passengers. 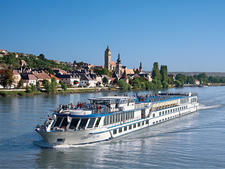 Excursions include headset-tours in the major ports. Artemis passengers tend to be Americans over 50. The majority are couples; the line says one in four passengers travel solo. (A roommate-matching service is available.) Guests are generally well traveled and many are repeat cruisers. 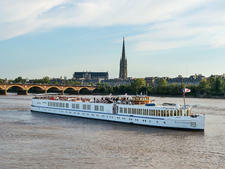 Designed to navigate France's Seine River, the 120-passenger Bizet is a 366-foot riverboat with three decks designed to navigate France's Seine River. 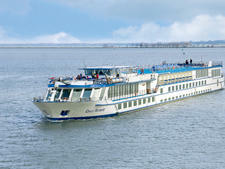 River Aria sails on the Danube as well as other Dutch and Belgian waterways. 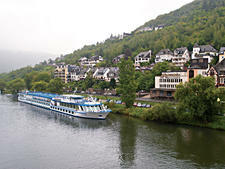 Launched in 2001, this four-deck river vessel accommodates 164 passengers. 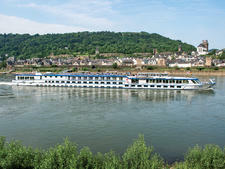 River Concerto accommodates 140 passengers on itineraries along the Danube and Rhine as well as Dutch and Belgium waterways. The 366-foot river cruiser launched in 2001. Launched in 2008, Arethusa is one of Grand Circle’s original three small ocean vessels that sail the Mediterranean. Grand Circle designed Provence for the small waterways flowing among the vineyards and villages of France. 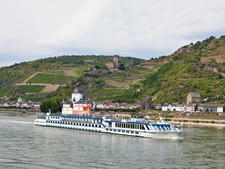 Launched in 2000, the 292-foot riverboat accommodates 46 passengers. 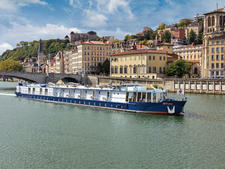 Grand Circle's River Melody sails European itineraries on an intimate, four-deck ship with all outside cabins. The Sun Deck is a popular outside lounge space. 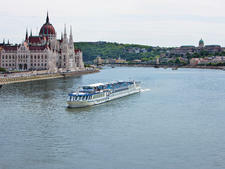 Rhapsody was built to accommodate locks and low-slung bridges, and it's magical to watch it dock in storybook locations like Melk or Budapest. River Harmony made its debut in 1999. 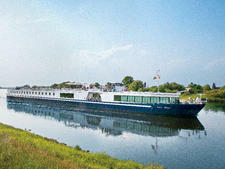 At a breadth of 38 feet (for easy canal transits), the ship accommodates 140 passengers in 70 twin cabins. Built specifically to navigate the locks and canals that lead the Danube into the Black Sea, River Adagio features a comfortable, egalitarian feel. Grand Circle entered Antarctica cruising with Corinthian, an ice-strengthened ship bought in 2014 from Travel Dynamics International. 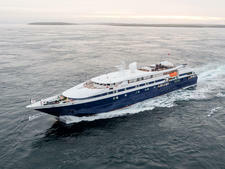 The 98-passenger vessel received a $5-million renovation after acquisition. This jaunty 50-passenger ship, built to sail the Dalmatian Coast, has the look of a private ship with an intimate feeling and informality. 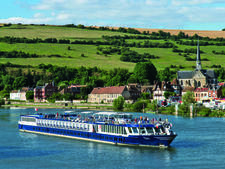 Acquired from Sea Cloud Cruises in 2014, the 90-passenger Chanson toured the Bordeaux region of France in 2015. Launched in 1999, River Chardonnay is a 202-foot river cruiser with two main decks and a terrace area which can accommodate 46 passengers. Grand Circle expanded its fleet with the purchase of Clio in 2015. The ship was refurbished before it started cruising for the line in 2016. Small and sociable, River Allegro is an older ship made new after an overhaul reduced the number of berths from 108 to 90 and provided expanded public areas.